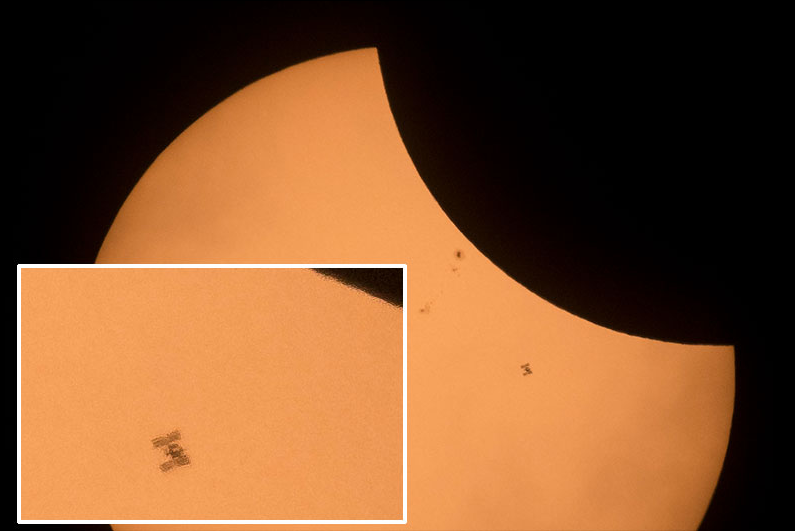 The International Space Station is seen in silhouette as it transits the partially eclipsed at roughly 5 miles per second (1,800 mph) as seen near Banner, Wyoming. NASA image by Joel Kowsky. Obviously, the image above was not taken from the ISS but the following link shows images of moon shadows on earth taken over the years from space. Click here. 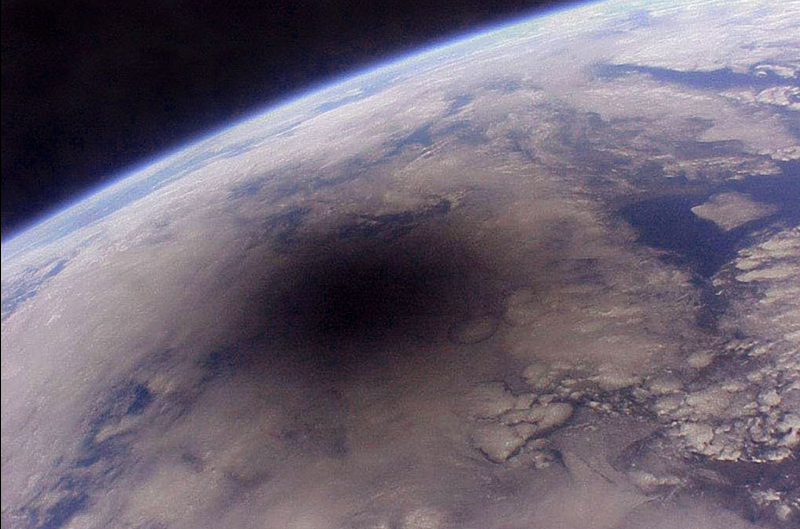 The image below shows the first-ever astronaut’s view of the moon shadow cast on the Earth during a total solar eclipse on August 11, 1999. Image: French space agency CNES astronaut Jean-Pierre Haignere on board Russia’s space station Mir.